Komodo liveaboard continues to grow as the most popular vessel in Labuan Bajo as the region blooms with natural attraction. 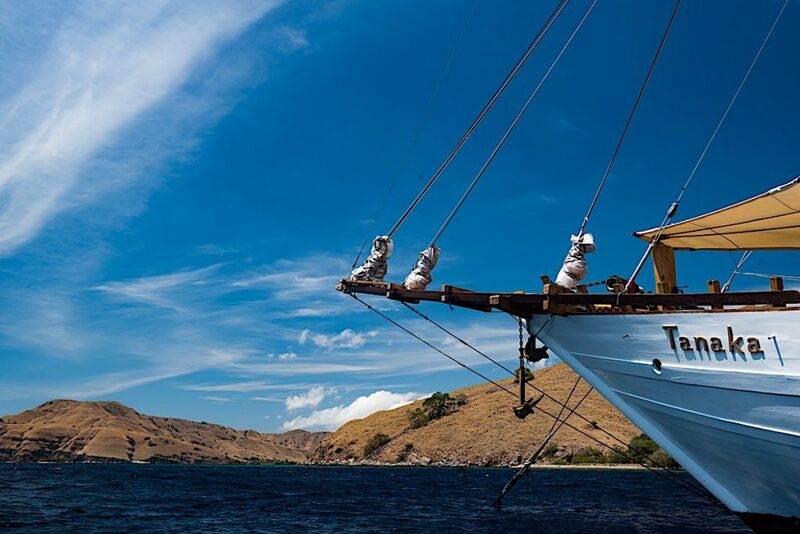 There are fast boats and fishing boats offered in the port town’s wooden docks, but there’s something in liveaboard that makes a sailing trip around Komodo feels more fulfilling. And like everything else in the world, sailing with this ship comes with a set of plus and minus. If you are curious whether liveaboard sailing trip is for you or not, you definitely need to read this to the last point. You might not think about it, but sailing with Komodo liveaboard makes the exploration trips simpler. As there are no hotels or other sorts of accommodations in the protected park, liveaboard cut out the needs of going back and froth from Labuan Bajo to the park. All you need is to pack the bag and let the liveaboard take care pf your needs. It get even more convenient for divers as they don’t need to transport their heavy diving gears back and froth from that car to the dive sites. Everything is here where you’ll need it. And mind you, Komodo has dozens of wonderful dive sites to explore. Either budget or luxury liveaboard Komodo, being in one allows you to do as many dives as you can. Often times, it’s the literal version of sleep-dive-repeat circle, allowing 4-5 dives a day if you desire so. A perfect life for divers, indeed. Liveaboard also make a night dive in Komodo possible. Taking a liveaboard gives you a prolonged time to go beyond the popular sites. It gives you a vessel to reach the deeper, more remote part of the National Park and exploring the hidden beauty. Sometimes, however, the ‘obligation’ to make the trip into the fullest come with a minor drawback. Schedules can be too packed and your body cannot keep it up. Luckily, every decent liveaboard was built with fun sundecks for a blissful relaxation. Take your favorite book there and take refugee in the sunny loungers. If you are a sucker for lively nightlife whenever you are on holiday trip, don’t expect to find it in a liveaboard. However, a night in Komodo have something entirely different for your after-dark delight. Away from busy city lights and dazzling skyscrapers, the Komodo’s sky will entertain you with a clear, starry sky that’s so alive with billons stars and constellations. It’s time to lie back and reconnect with yourself. When it comes to nightlife versus starry sky, it always result in beautiful draw. Unless you are renting the whole Komodo liveaboard for yourself (and your closest ones), you’re guaranteed to share the boat with a set of strangers from all around the world. It means you have to keep the best friendly attitude all the time and practice “go with the flow” philosophy. While dealing with minor quarrel on daily basis sounds rather unpleasant, in the end of the day you gotta find a strong bond and great friendships.